Executive Director Jim Ryan presents a plaque and certificate at the employee recognition day to Senior Operator Brad Fitzgerald for his handling of a Emergency Medical Call. Brad provided CPR instructions that were instrumental in saving a life. 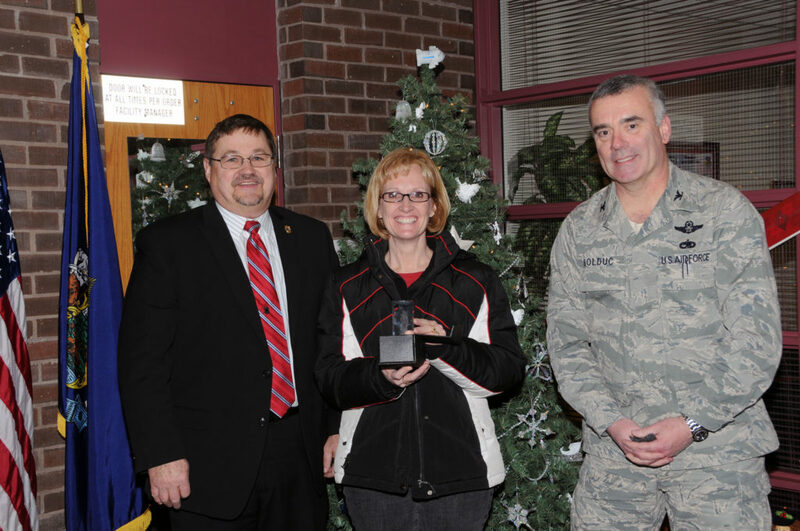 Executive Director Jim Ryan and Supervisor Betty Stone receive an award for their sponsoring of military families over the last several years during Christmas Time. 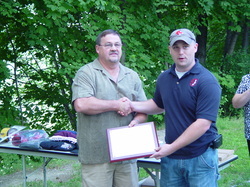 The award was presented by the Commanding Officer for Air National Guard, Bangor, Maine. 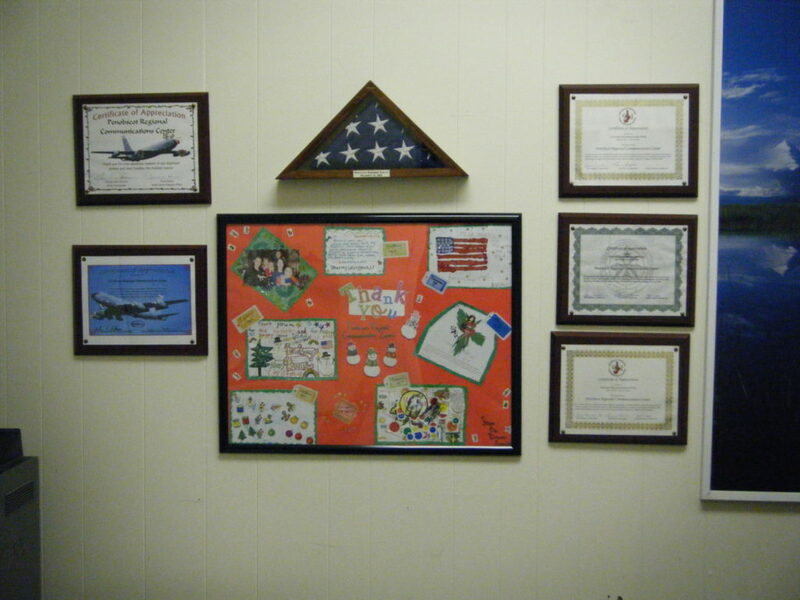 This is a picture of a poster board done by the military family we sponsored in 2009 while dad was deployed in Iraq. The flag was flown over Bagdad on December 25, 2009 in honor of PRCC. 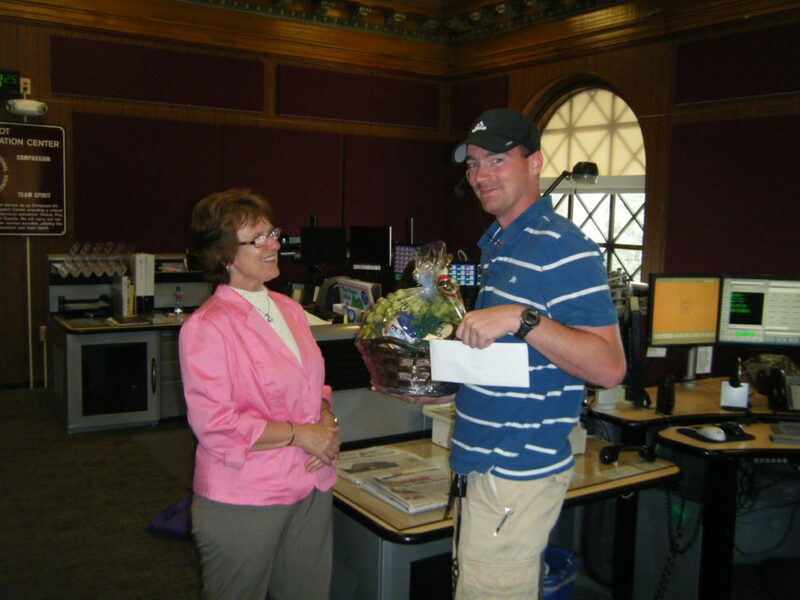 Marcy Ouellette, Victims Witness Advocate Office presents Senior Operator Tim Hall with a “Hero’s” fruit basket which was donated by an annonymous committee for his role in Emergency Medical Dispatching of a medical call. Tim provided CPR instructions that were instrumental in saving the life of a 2 year old. 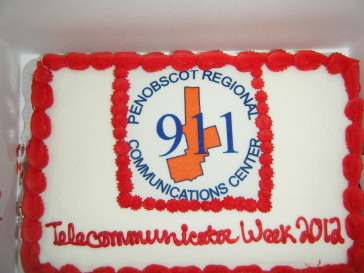 April 8 through April 12, 2012 is National Telecommunications Week. 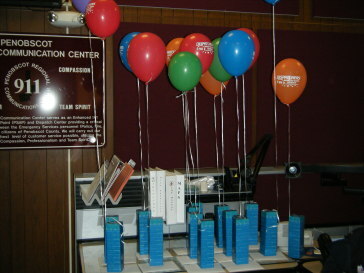 Chrome water bottles were given to each staff member to thank them for all that they do. © Copyright 2019 by Taylor J. Keeran. All Rights Reserved.